Kerala style spicy chicken curry|Nadan chicken curry. 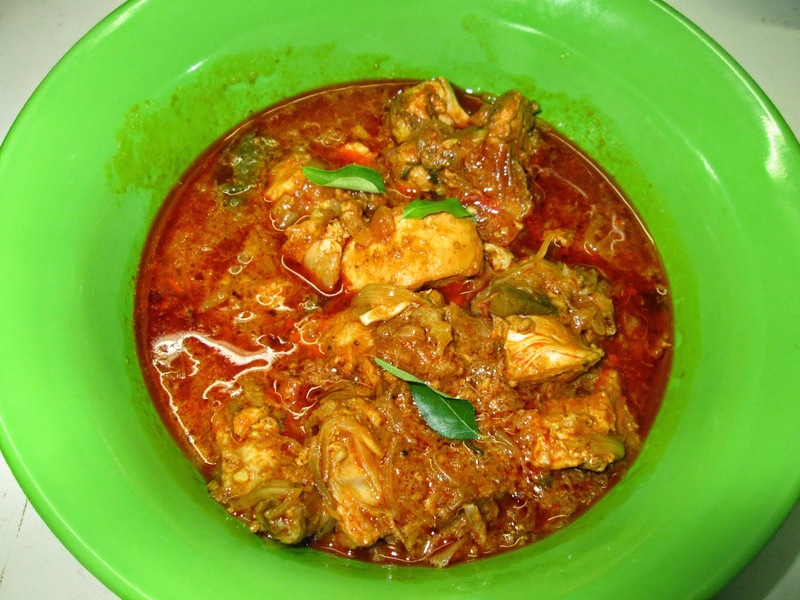 Hi there Let us know how to make kerala spicy chicken curry.It is a delicious curry which we eat with porottas..yes my hubby love it and I also love to make this delicious chicken curry..Some of us thinking making chicken curry is not so easy.I here teach you how to make it .By step by step tutorial..
Chicken-1/2 kg cleaned ,cut into medium sized pieces. Salt-1 tsp or as needed. Heat a pan or pressure cooker you are using. Add 2 tbsp of oil into it. Add ginger garlic paste.If you dont have ginger garlic paste-make a paste with ginger and garlic by grinding it with a little water.You can crush the ginger and garlic in mixer grinder. Add in sliced onion into it. When it becomes transparent add chopped tomatoes into it. After 2 min.Add all the spice powders..Turn the flame to simmer. Add in chicken pieces along with water.Cover it and cook.In pressure cooker about 3 to 4 whistle is needed in medium flame. Delicious homely chicken curry is ready.